In an interview with Infoworld.com, Apple co-founder Steve Wozniak (Woz) made some profound statements about technology and education. An important thing to know about Woz is that he’s not just a computer engineer. Upon leaving Apple Woz became a fifth grade teacher. He’s also written about education and technology in his book “I, Woz” and he’s keynoted several conference on the matter including Educomm. So when he makes profound statements about education, he actually knows what he’s talking about. 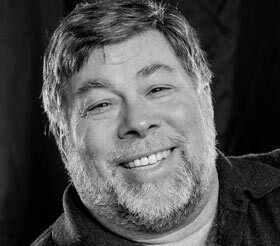 In speaking with Infoword, ahead of his appearance at the Appsworld conference yesterday, Wozniak talked about technology in education. Wozniak noted that computers have now been in the classroom in one form or another for 30 years. His own Apple II C played an integral role in education in the 80’s and 90’s. Nowadays many schools still use Macs in the classroom. But has it helped? “I don’t see any change in how people come out [of the education system] — they’re not smarter,” Wozniak says. “We put the technology into a system that damages creative thinking — the kids give up, and at a very early age.” Educators, developers and ed tech company founders involved in the recent FETC, TCEA or iPad summit on education may disagree, but when you look at that statement, it seems to carry some water. Wozniak seems to disagree with the Common Core methodology of teaching, in what he calls “mass production system of education”. Wozniak proposes a more project based learning approach where students set a goal at the beginning of the year and build their curriculum around that goal. Project based learning is something that George Lucas, the writer/director of Star Wars believes in. His George Lucas Educational Foundation chronicles schools using project based learning. Obviously technology isn’t the answer but rather a tool to get to the answer. Wozniak wishes it were possible to have one good teacher for every student but knows there’s not enough teacher’s or budget to do that. He ponders that maybe one day 20 years from now computers will be able to serve that purpose with “companion computing”.